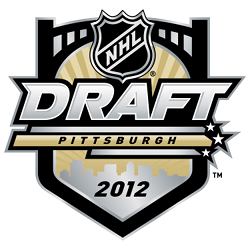 Of the 46 players invited to USA Hockey’s National Junior Evaluation Camp, 22 are eligible for the 2012 NHL Entry Draft. Making it to this camp is a pretty strong indicator of where this player is now in his development, rather than where he will be, which is more important for the draft. Each player invited can be considered one of the best Americans in his age group. It should be noted that players selected to the World Junior Camp are being brought in based on what USA Hockey feels they can do for this team, which may not be for the same reason a team drafts the player. A player’s inclusion on this camp roster likely doesn’t boost his draft stock and those not included aren’t going to watch their draft stock plummet either. Either way, this roster gives us a very good list of American prospects you should be aware of, if you aren’t already for the NHL Entry Draft. Coming up after the jump, a look at every 2012 Draft-eligible player invited to USA Hockey’s Junior Eval Camp. Cole Bardreau — Cornell — After being passed over in last year’s Draft, Bardreau is eligible once again this year. Bardreau has limited puck skills, but plays a high-energy game and would likely fill more of a defensive role for the U.S. National Junior Team if he made it. Bardreau has a great motor on him and isn’t afraid to throw his body around. He’s also got a great on-ice work ethic. There’s a chance Bardreau gets selected in the late rounds this year, but his limited offensive upside and smallish size (5-10, 184) might hold him back in scouts’ eyes. He had four goals and four assists in 34 games as a freshman. Thomas Di Pauli — U.S. U18 Team — Of the 25 forwards invited to camp, only six were born in 1994. Di Pauli is one of them. For good reason, too. He’s one of those guys that very few people are talking about, but is going to be a great value pick in the middle rounds for an NHL team. Di Pauli is a very rangy forward, with a really strong two-way game. Where Di Pauli stands out among his peers is his ability to possess the puck and keep possession for long stretches thanks to smart positioning and good enough puck skills. At 5-11, 188, he’s not a big guy, but he uses his body well to protect and pressure the puck. He put up just 21 points in 55 games with the NTDP this year, but he has fairly good offensive instincts and vision. He’s going to have to battle with several talented forwards on this U.S. roster, but Di Pauli is a guy you should definitely know for the Draft. Alex Galchenyuk — Sarnia Sting (OHL) — There’s not much more to say about Galchenyuk that hasn’t been said already. Assuming his eligibility is good to go with the IIHF, he could be the most skilled forward at this even in some time for the U.S. He’d be the favorite to be the No. 1 center on the team and could be a huge asset, especially with the event taking place in Russia, where Galchenyuk spent a good portion of his youth. For more on Galchenyuk, click here. Brian Hart — Phillips Exeter (Prep) — After dominating the prep ranks with 68 points in 29 games, Hart will have to prove in camp that he can play with the big boys. As a 6-2, 216 forward in prep school, Hart was so much more physically advanced than a lot of his opponents, it’s tough to gauge just how he’ll use that same body against stronger, faster players. He’s likely to be a second- or third-round selection at the latest at the NHL Draft. No matter what, when you have a guy at that size with enough offensive touch to put up 2.34 points-per-game, you have to take notice. USA Hockey did and now it’s up to Hart to prove to everybody else it was him and not the competition that allowed him to have success. Nic Kerdiles — U.S. U18 Team — Opinions remain drastically different about Kerdiles. Some see him as a definite first-rounder, others see him as a mid-second round guy. No matter what, he’s a prime candidate for this U.S. National Junior Team. His nine points at the World U18 Championship capped off a team-leading 48-point campaign at the NTDP. Kerdiles has the right size and ability to make it work at the World Junior level. He can play a steady two-way game, which makes him versatile. Versatility in international hockey is of paramount importance. Having a player that can do a lot when you can’t make too many roster changes just helps a whole bunch. It will be interesting to see where Kerdiles winds up on Draft day, but he is going to be a strong candidate for inclusion on this World Junior outfit. Stefan Matteau — U.S. U18 Team — As mentioned Monday on USofH, it’s been a weird year for Matteau that could get weirder yet over the summer. In all likelihood, Matteau is going to be suiting up for the U.S. in international competition going forward after two years at the NTDP, but stranger things have happened. Matteau is another guy that the U.S. could probably look to as a strong option for inclusion on the World Junior Team. His frame and strength are huge assets. He’ll have to avoid penalty trouble to earn a regular role on this club, as he has taken some costly ones over the last year and even served some lengthy suspensions. All that in mind, you just don’t find a ton of 6-2, 210-pound power wingers that can score and bring the heat physically. Matteau does that. It’s why he could go in the first round Friday night and why he has an inside track on a spot in Ufa. Logan Nelson — Victoria Royals (WHL) — To be perfectly honest, Nelson has been a little out-of-sight, out-of-mind for me in the WHL, so he hasn’t been covered much (or ever) on this blog, regrettably. He was passed over in last year’s Draft after an underwhelming nine-point season in the USHL with Des Moines. After moving to the WHL in the offseason, Nelson exploded for 62 points, turning heads and obviously catching the attention of USA Hockey to get a look for the WJC. Kelly Friesen at Buzzing the Net called Nelson a two-way center, which could be an important role to fill on this Junior outfit in particular. Nelson’s breakout season was noticed by NHL Central Scouting who ranked him 73rd among North American skaters. If he continues his dramatic rise, he’ll push for a Junior spot. Adam Reid — Northeastern — Another second-year eligible, Reid is the biggest forward invited to USA’s camp. He’s not flashy, but could find a home on the fourth line, handling defensive assignments, playing the body and contributing the odd point here and there. Reid is still relatively raw in terms of his talent and ability, which is why NHL teams might take a late-round stab at him in this year’s draft. He’s going to have an uphill battle in the U.S. camp against more skilled players, but Reid is a great character guy who will do what is asked of him and put a lot of effort behind it. Henrik Samuelsson — Edmonton Oil Kings (WHL) — Samuelsson was also covered on Monday. Oddly enough, the guy he might be competing with most closely for a spot on the roster for the World Juniors is Stefan Matteau. Samuelsson, having spent half the year in Swedish leagues, might be better prepared for the big ice Team USA will be playing on in Ufa. Either way, he’s got the body and the puck skills to be a factor in this tournament. Samuelsson isn’t afraid to plant himself in front of the opposing team’s net and cause trouble. Like Matteau, the penalty concerns are concerns and he’ll have to prove he can rein it in when necessary. He is another guy that could go anywhere from late-first to late-second round as opinions vary greatly on him for the Draft. Jimmy Vesey — South Shore Kings (EJHL) — Of all the forwards invited to camp, I think Vesey will be one of the guys I’ll keep the closest eye on. Coming off of a highly productive season in EJHL play (91 points in 45 games), the second-year eligible’s skills will be put to the test against faster, stronger competition at the Junior camp. At 6-0, 178, Vesey should be able to hold his own, but he will have to prove that he can be a producer at a high level in order to make the Junior team. NHL Central Scouting has Vesey at No. 77 on its final rankings and he’s certainly a name to know for Day 2 of the Draft. He’ll be battling for a spot among the top nine forwards for the Junior team come August and throughout the first half of the season. It’ll be interesting to see if Vesey is up for the challenge. Connor Carrick — U.S. U18 Team — Carrick was part of the vaunted D corps for the NTDP’s U18 team this year. Though overshadowed by the team’s top-four, Carrick was a key contributor and possesses a very interesting skillset. At 5-10, 183, Carrick doesn’t have that great size, but he’s solidly built and skates extremely well, which helps offset the size disadvantage. His offensive tools definitely standout. He doesn’t always make the right decisions and is prone to the risky play, but Carrick’s ability with the puck on his stick is certainly attractive. This is going to be such a tough D corps to crack in 2013. I don’t know if Carrick will be called upon this time around, but he should be called on Day 2 at the Draft and if he goes as late as his 124 NA skater ranking would indicate from CSS, he’s going to be a great value pick. Brian Cooper — Fargo Force (USHL) — Cooper started the year on a lot of radars, but as time went on, it seemed like he was on less and less. The interesting thing about Cooper is that he is a bit undersized for the style he plays. In 2010-11, he showed flashes of more offense in his game in addition to some toughness and physicality. His production tailed off this year in favor of improving his defending. At his size, he has to probably be more of that two-way guy. Production will be key. For the WJC team, Cooper is another guy that is going to have to find somewhere to fit with this uber-talented group. He certainly belongs in camp, but I don’t know that he’ll be in the mix for Ufa. Central Scouting has him at No. 68 among North American skaters. There’s a lot to like there in the third-round range for Cooper. Shayne Gostisbehere — Union — After a dynamic freshman season at Union, in which the team made it to the Frozen Four, Gostisbehere is steadily getting more notice. His inclusion on this team is a big indicator of where others think he is. As a strong puck-mover, Gostisbehere can set himself apart by showing he can support the transition with a good first pass and help get some sustained pressure in the offensive zone with blue-line support. He’s a bit smaller at 5-10, 160, but his first college off-season could make a big difference. I think he can be an earlier mid-round pick in the Draft and a strong candidate for a spot on the Junior team, assuming he keeps moving forward like this. Matt Grzelcyk — U.S. U18s — One of my favorite sleepers in this year’s draft class all year, Grzelcyk might be battling it out with Gostisbehere (among others) for a shot at this team. A gifted puck-mover and skater, Grzelcyk is a very heady defenseman for his age. He played alongside Carrick in the World U18s and the pair did pretty darn well in all situations. His mature decision-making and poise with the puck could go a long way in giving Grzelcyk a shot. At 5-9, 170, he can’t make a lot of mistakes in camp to stay in the mix. Meanwhile, he could go rather late on Day 2, but I think long-term, Grzelcyk is going to be a steal for whoever gets him. Jake McCabe — Wisconsin — A solid two-way defenseman, McCabe has the type of skillset that sets him apart from a lot of the more offensive defensemen in this group. He can certainly defend and play with some nastiness. He’s simply steady in just about everything he does. McCabe continues to add elements of offense to his game and has improved his passing and puck handling a bunch from his years at the NTDP. The one thing McCabe has going against him is that he’s not exactly an explosive skater. With this tournament on the big ice, McCabe will have to show he has enough mobility to shut down highly-skilled opponents with extra room to work. His strength and ability at both ends of the ice are going to be big factors in his chances of making this team and earning a selection in the second- to third-round range. Joakim Ryan — Cornell — Ryan’s inclusion in this camp was a surprise not because of his ability, but because of his nationality. The New Jersey-native had attempted to play for Sweden in a previous IIHF tournament, but was denied by the organization. Ryan, who had represented Sweden in several non-IIHF tournaments, was not a dual-citizen in the eyes of the IIHF, which has a funny way of going about its decisions if you ask Stefan Matteau. Either way, Sweden’s loss is USA’s gain. Ryan is coming off a very strong freshman campaign in which he put up seven goals and 10 assists in 34 games. Ryan is another good puck mover who can play well enough at both ends of the ice. He’s still going to have a tough time making this team as there are so many 5-10 Dmen with similar skillsets in camp. After getting passed over in the draft last year, I wouldn’t think he’d get passed by again, but Central Scouting did not list him in its final ranking. Jordan Schmaltz — Green Bay Gamblers (USHL) — Schmaltz is another guy who scouts just can’t seem to agree on, with some seeing his offensive tools as too good to pass up in the late-first, early-second round, and others feeling his defensive shortcomings are too great to ignore. Either way, Schmaltz has some high-end puck-moving skills. He is very smooth in his skating and puck handling, but it’s the decisionmaking that he’ll have to work on to get to the next level and make the U.S. National Junior Team. Of the offensive defensemen Team USA will be bringing into camp, it’d be hard to beat Schmaltz. He’s had back-to-back 40-plus point seasons in the USHL, which is no small task in that league. He should go early on Day 2 and will definitely push for a spot on the WJC team if he gets off to a good start at North Dakota next year. Patrick Sieloff — U.S. U18s — A pure stay-at-home defenseman, Sieloff is one of the few true defensive stalwarts among the invitees to camp. 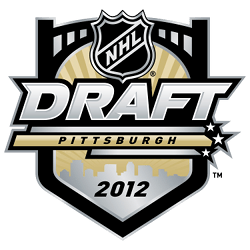 His physical game gained him notoriety in scouting circles and there may be a team out there that will look for Sieloff in the mid-second round on Day 2 of this year’s draft. The 6-0, 198 defenseman has made a name for himself by pretty much destroying anything that comes near him. Some of his open-ice hits have been devastating for the player on the receiving end. Sieloff is right on the edge with some of his hits, but he has also shown he can tone it down and focus on the puck. He can’t be an all-or-nothing guy in Ufa if he makes it, so that’s what Sieloff will have to show in camp. His defensive responsibility will be key in both his NHL projection and his chances at making the Junior Team. Brady Skjei — U.S. U18s — U.S. National Teams have been built on speed and skating for years and that just so happens to be what Skjei does best. On top of it all, he’s a 6-3, 200 defenseman who can be physical and has vastly improved his defensive abilities. Unlike a lot of the other Dmen in camp, Skjei is not a pure puck-mover, but he’s not inept offensively. He’s definitely better in his own end and can really do a lot of damage with his feet. Still, he makes a good first pass out of the zone and provides terrific support in transition. As part of the top-four D that helped Team USA thwart some of the most skilled players in the 1994 age-group, Skjei has proven abilities internationally, which will be important for his chances. This defenseman should go somewhere in the second half of the first round. Jacob Trouba — U.S. U18s — As the only returning defenseman from last year’s World Junior squad, it’s hard to see the team going to Ufa without Trouba. He’s about as close to a lock as it gets on this team, assuming he stays healthy. The solid 6-2, 193 defenseman packs a wallop and even manhandled the competition at the 2012 WJC despite being one of the youngest Dmen in the tournament. His offensive abilities are underrated and he doesn’t get enough credit for his incredible skating ability. Big ice, small ice, it doesn’t matter. Trouba will find you, and he will hit you. There’s a strong possibility Trouba will go within the first 10 picks in the draft, thus solidifying his position as one of Team USA’s best options for the blue line. Jon Gillies — Indiana Ice (USHL) — After a strong showing with the Ice, Gillies was able to beat out several really strong netminders for one of the four goalie spots in this camp. His previous international experience has come in summer tournaments for Team USA, but that certainly counts for something, especially having played on the big ice at the Ivan Hlinka last August. At 6-5, 210, Gillies is one of the biggest guys you’ll find manning the nets. If his development track continues on its path and he has a great couple of months with Providence College next year, Gillies could make a strong case for the club. It is likely if either 1994-born goalie in camp makes the squad, he’ll be backing up John Gibson, however. Either way, WJC experience of any kind is valuable. It’ll be interesting to see where Gillies goes in the Draft. Most likely it will be in the earlier middle rounds. Anthony Stolarz — Corpus Christi Ice Rays (NAHL) — The magical season for Stolarz rolls on with his inclusion in this evaluation camp. Like Gillies, Stolarz is a huge specimen at 6-5, 200. Having played in the NAHL this year, which is a good league, but not as tough as what some of his competition has seen, Stolarz will have a lot to prove in the Junior Camp. He is still a little bit of an unknown, but that camp will tell a lot about him. Central Scouting surprised everyone by listing Stolarz as its No. 4 NA goaltender. Not bad for a kid who was cut from an EJHL team at the beginning of the season. Where he goes in the Draft is anybody’s guess.